Appointments are serious. There certainly is no aura of clandestine pleasure whenever the word is invoked. No perusing the possible joys of that reminder on your calendar. There’s more the weight of necessity. It’s not like anyone tags their dental appointment with a request for a softer chair with better lighting or a more tropical, mango/coconut-would-be-nice mouth rinse. Most of us merely want to escape our appointment unscathed, pay our bill and be done. But restaurants are different. We’re in the pleasure business. So Acme doesn’t have appointments; we have reservations. Like hotels and airlines and, well, nervous brides (but that’s another story). And reservations imply a certain anticipated personal attention. Guests often ask for a “quiet table” that begs the rejoinder that we can assure the table will be quiet but the guests sitting next to you, not so much. Some people call the restaurant wanting to know that we WILL have the game on. And then someone else from that party calls requesting that they have a table away from the TV. Then there are dietary restrictions, high chairs, bright lights, and all the myriad ways people can imagine making their experience better. Needless to say, we do our best. 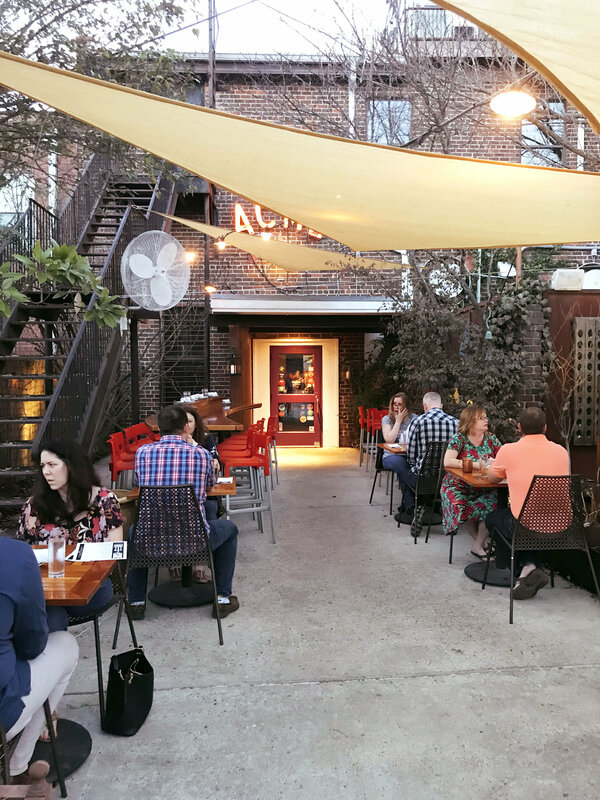 But by far the most requested addendum is “please, please, please can we sit outside on the patio.” Because for as long as Acme has been around, we’ve never allowed reservations on the patio. The outdoor tables have always been first come, first served. Until now. It’s ok; you can take a moment to let that sink in. Starting tomorrow, March 28th, tables on our patio can be reserved by calling the restaurant or through using the reservation link on our website and choosing an outdoor table. **There is a caveat. An important one. All of the tables on the patio are not immune to the whims of weather. If it’s raining, we will do everything in our power to offer you another reservation indoors. In the case that all our indoor tables are already reserved, we will call you in advance and let you know that the reservation is unavailable, but that if you want to walk in, you would be at the top of our waiting list. Pretty simple. And pretty great. 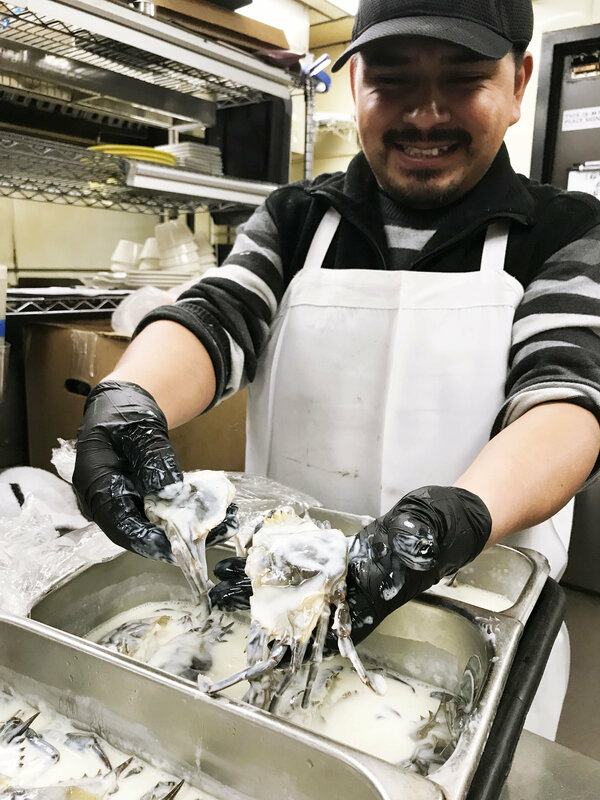 Speaking of pretty damn great – we have our first flush of SOFT SHELL CRABS available tonight. If ever there was an honest-to-goodness marker that Spring has officially sprung, this would be it. With one bite, all the sweater-clad memories of January fade away. Clearly better days are ahead. Can I get a hallelujah?